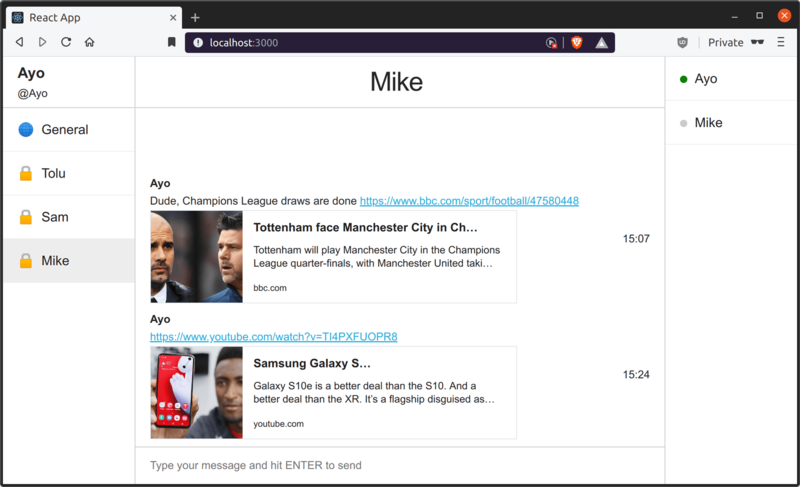 It is a common feature for chat applications to show a preview of web content like articles, pages, and tweets shared in the application. 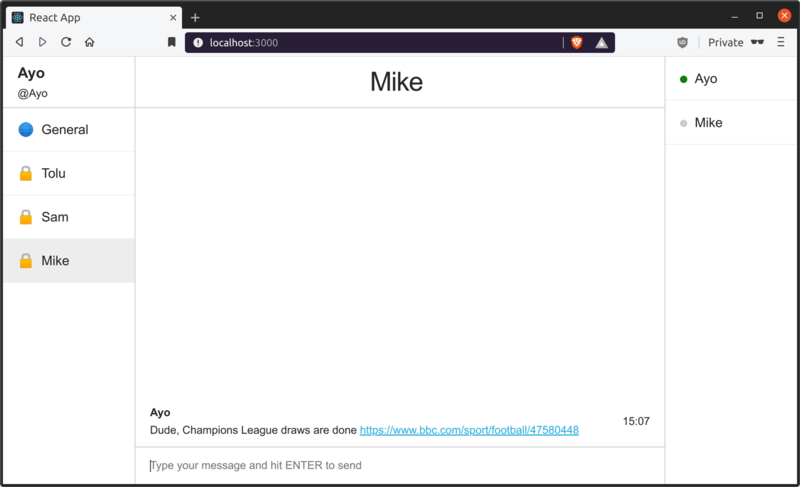 It’s easy to add this feature to a Chatkit powered application with only a few lines of code, as I’m about to show in this tutorial. This tutorial builds upon what was covered in the tutorial on sending direct messages with Chatkit, so you need to go over that one first before moving on to this one. You can clone this GitHub repository and follow the instructions in the README file to get set up. We’ll be making use of the microlink package to provide rich link previews in the application so we have to install it first. microlink also depends on the styled-components package so we’ll install that as well. The first thing to do is detect the presence of URL in a message and display the link appropriately in the rendered message. To do this, we’ll use the power of regular expressions to parse the text and then wrap the URLs in an anchor tag. First, we match the message text against a regular expressions and return an array of URLs found in the message text or an empty array if no links are present in the message. Next, each URL in the array is wrapped in an anchor tag with the help of the insertTextAtIndices() function. The result is that URLs found in the message are rendered as links in the chatroom and each link opens in a new browser tab as shown below. Using the microlink React package to render rich link previews is pretty easy. All we need to do is import the card preview package and pass the URL to render. This card visualization is shipped with a default minimal style which is easily customizable in your CSS if you wish to change the it. At this point, you be able to view a minimal preview for each link shared in the chatroom. If you haven’t already, make sure to start the server using node server.js and the React app by running npm start from the client directory. In this tutorial, you’ve learnt how easy it is to implement link previews for any URL shared in a chatroom. By doing so, you can improve the user interaction on your site, letting your users see what's behind any link.